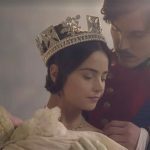 Lord M returned to Victoria this past Sunday on ITV. 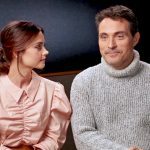 For American fans of the series that are waiting ever so (im)patiently, Rufus Sewell will return as Lord Melbourne in the 2nd episode of the 2nd series of Victoria on Sunday, January 21, 2018 (remember the series officially returns the week prior on Sunday, January 14). 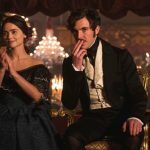 While viewers across the UK were ecstatic and feel that ‘everyone needs a Lord M in their lives’, Prince Albert not so much. 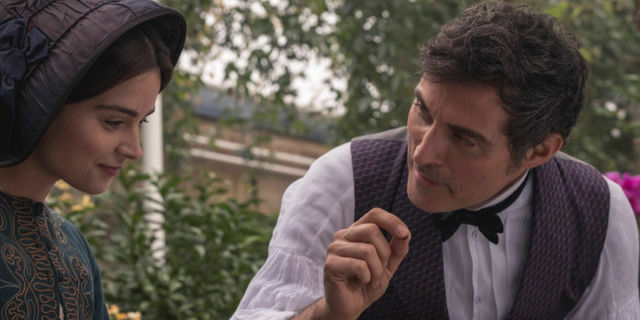 Seems as though Victoria is struggling to balance life as a wife, a mother and the Queen and so she turns to her old friend for advice after she was worried Albert was attracted to Lady Lovelace. How did you feel returning to the role? “One of the things that appealed about the role originally was that it was finite; a lovely contained story with a beginning, middle and end. I really didn’t want Melbourne to be hanging around beyond the natural span of his story. All the same, I knew that if all went well, I’d probably regret leaving when it came to it and it turned out I was right. When the producers came to me with a way to bring him back in season two that was still true to the story, I was only too happy to come back. 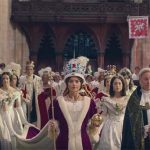 So what’s in store for Lord M in series two? But did Rufus feel the need to delve once more into the history of the period? For those that can’t wait until January 21, 2018, here’s a sneak peak of Lord M’s return. 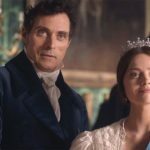 ‘Flip the Script’ casts Rufus Sewell as…Queen Victoria?